Patients at our Mandeville vision correction practice know that we take a holistic and state-of-the-art approach to eye care. This means using advanced diagnostic techniques and tools while also stressing total wellness and prevention. Combining these methods of in-office and at-home care can mean the difference between vision and vision loss. With this topic in mind, we want to cover some of the eye health dangers associated with smoking. As you are about to read, cigarettes and cigars can cause more than just lung and heart problems. We all know by know that smoking can lead to many different kinds of health problems. This includes issues like lung disease, heart disease, hypertension, respiratory problems, and different forms of cancers. Since the lungs and circulatory system are negatively impacted, it should come as no surprise that the eyes can also be harmed by years of smoking. Even light smoking over the course of a life can increase the risk of numerous vision problems. Below are some eye conditions that have been linked to smoking and the use of tobacco products. Cataracts are a relatively common vision problem that involves the clouding of the naturally clear lens of the eye. 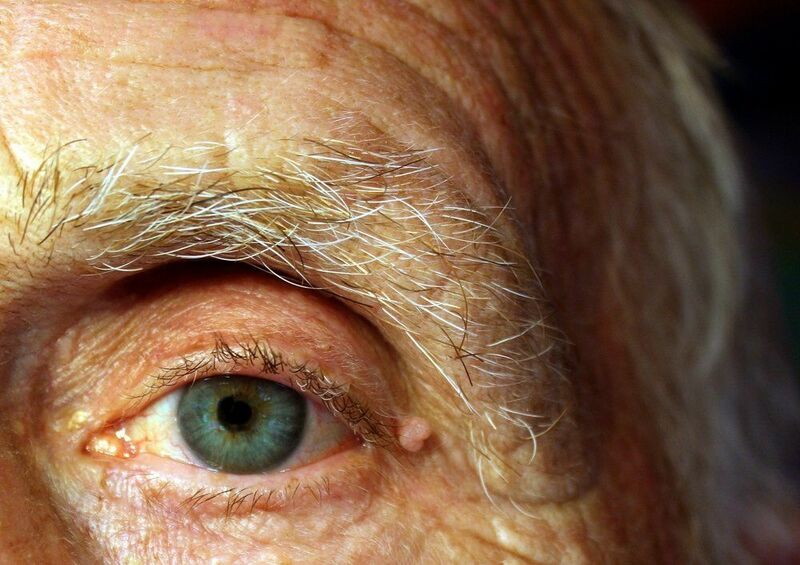 People experience cataracts as a result of advanced age or injury to the eyes. Smokers are twice as likely to develop cataracts as non-smokers. People who smoke heavily are three times more likely to develop cataracts than non-smokers. Glaucoma is a type of irreversible vision loss that is caused by increased pressure within the eye damaging the optic nerve. The increased blood pressure caused by smoking can potentially boost the risk of glaucoma in smokers, particularly open-angle glaucoma. A problem common during advanced age, macular degeneration involves damage to the blood vessels in the central portion of the retina, which is known as the macula. This leads to vision loss. The high blood pressure associated with smoking can result in cell damage in the macula and increased risk of this condition. Diabetic retinopathy is a type of vision loss linked to long-term diabetes. The damage to the retina over time can lead to vision loss if patients are not careful. Smoking is linked to diabetes, so it should come as no surprise that it may increase the risk of developing diabetic retinopathy later in life. Dry eye occurs when there is not enough moisture in the eyes. This can be due to poor tear composition or other matters. Smoking has been shown to increase the risk of dry eye in people. The smoke itself can be quite irritating and trigger serious eye irritation. People who smoke and use tobacco products are more likely to suffer from infections than non-smokers. Various kinds of inflammation and infections are more likely if you smoke. This goes for relatively common infections such as pink eye (conjunctivitis) or more serious kinds of infection such as uveitis. Given all of the issues above, it's important that smokers consider quitting to help ensure healthy eyes and good vision in the years ahead. Even quitting now can reduce the potential of vision problems later in life. Of course, quitting can be easier said than done, which is why it's important to reach out to us. We can connect you with specialists and resources that make quitting a reality rather than something out of reach. To learn more about improving your vision and other matters related to the health of your eyes, be sure to contact our team of eye care experts today. The team here at our practice will help you see clearly without the need for glasses and contacts.